How Can You Support The Arc? Over nearly six decades of advocacy, The Arc has worked steadily to achieve equality for people with intellectual and developmental disabilities (I/DD). Our advocacy has changed the lives, opportunities and perceptions of people with I/DD living right here in our community. To ensure that all individuals and families have access to The Arc's transformative support, our programs have always been offered free of charge. What's more, to ensure that The Arc is always working in the best interests of people with I/DD and their families without constraint, we don't receive any government funding. Instead, we rely on the generosity of donors like you to support these programs. Your charitable gift will help us keep this promise and protect the programs that so many inidividuals and families depend on. 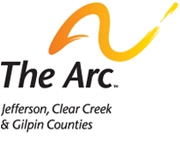 This section is an overview of ways you can provide financial support for The Arc. If you have any questions, please contact Jennifer Holan at (303) 232-1338 or by email at jennifer@arcjc.org. Making a monthly gift helps provide a steady flow of support for our work to bring real progress to people living with intellectual and developmental disabilities and their families. Whether you prefer to give by credit card or through preauthorized deductions from your bank account, donations from The Arc's Empowerment Partners are a promise that everyone will have access to free, life-changing advocacy when they need it most. The Arc's Changemaker Society is an opportunity for The Arc’s supporters to leave a lasting legacy of social change for people with intellectual and developmental disabilities. Becoming a Changemaker can be as simple as naming The Arc in your will, trust, or beneficiary designation. For more information, contact Jennifer Holan at jennifer@arcjc.org. Launched in 2007 as part of our Summit of Hope Community Awareness Luncheon, the Community of Hope is a group for donors who have given at least $5,000 to support The Arc's programs, whether all at once or accumulated over time. Many organizations will match their employees' gifts to nonprofits. Check with your Human Resources Department to see if your organization provides an Employer Match. The Arc works with several organizations to provide opportunities for Workplace Giving. Click on the links below to learn more. Many additional employers also offer their own workplace giving campaigns, and donors can simply write-in The Arc to any campaign by using our EIN #23-7162049. Turn your old car into new opportunities for people with intellectual and developmental disabilities! The Arc can take your old car as a donation and turn it into cash to directly help people with intellectual and developmental disabilities with such needs as employment, education, housing and advocacy to ensure they are treated with dignity and respect. It doesn't matter if your old car has some blemishes, a little rust, a dead battery or worse. Vehicles for Charity Vehicle Donations Program can take your clunker and turn it into cash at auction. To ensure your donation benefits our chapter, simply designate The Arc - Jefferson, Clear Creek & Gilpin Counties as the recipient, and the proceeds will come directly to us. It’s easy to get started. Click here to arrange your free pickup, and claim your tax deduction.